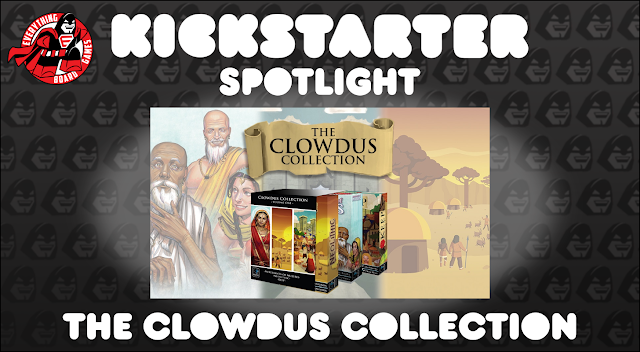 The first in a series, The Clowdus Collection is a remastered set of three games—Neolithic, Merchants of Muziris, and KEEP—designed by John Clowdus. Each game is designed to be approachable to any type of gamer, for fast play, and thoughtful and meaningful mechanics. As this set includes new, remastered versions of each game, each game has new and improved artwork, along with other specific modifications and additions to the individual games. Neolithic is a head-to-head micro civilization-building game featuring card-based worker placement set in man’s earliest cultural origin. The main gameplay for Neolithic has remained unchanged, however new, additional cards have been added, along with the included Advanced Cultures expansion. Merchants of Muziris is a fast and fun game of set collection for 2-4 players set in the lost port city of Muziris. Instead of strictly being a two-player game, Merchants of Muziris now plays up to four players! Plus, coins have been added for more intuitive scoring, and we can’t go on without mentioning the improved graphics and art that helps better represent the region and time period. KEEP is set in medieval times and boasts an innovative take on card drafting. 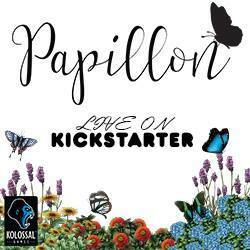 It plays 2-5 players in 30 minutes or less, with additional cards (new designs), coins for ease in scoring, and more. 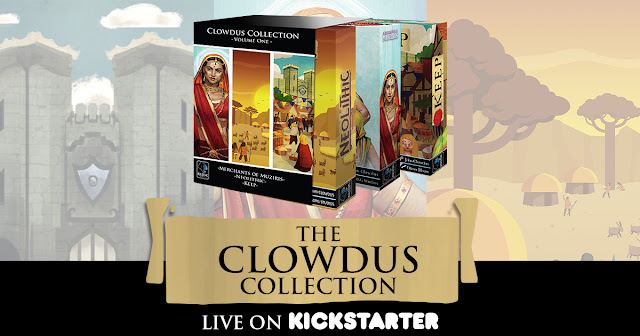 Reward tiers allows backers to get one, two, or all three of the games in The Clowdus Collection; backing all three will cost less per game than simply backing one or even two. 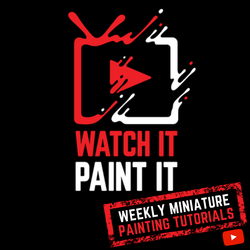 Whether you’re already a fan of John Clowdus’ games or are just now hearing about him, this collection looks to bring cleverly designed games to your table that are approachable to all, play fast, and really make you think. So what will it be? Give The Clowdus Collection a look on Kickstarter today! The Clowdus Collection is live on KICKSTARTER between now and February 7, 2019 and has a funding goal of $12,000.